In the past few weeks, we’ve introduced some exciting updates to Scholastica’s typesetting service to better serve the needs of journals across disciplines. We’re making it easier for editors to submit articles for typesetting, giving journals new options for styling their PDF articles, and more. 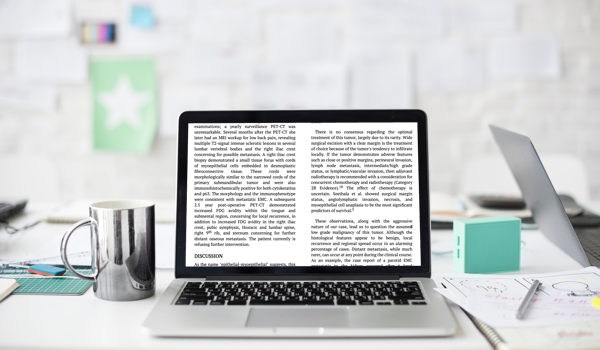 We know that journals have preferences when it comes to the style of their PDF articles, so we now offer journals the option to choose a PDF style that best suits their publishing needs. Now, journals that use Scholastica’s typesetting service will have the option to select either a single column or two-column theme for PDF articles. You can easily choose a PDF style on your Publishing Settings page. Note: The typesetting request option is only available to journals that have signed up for this service. You can request more information about Scholastica typesetting here. We know that editors get busy and don’t always have time to complete the projects they’re working on in one sitting, so we’ve set up the typesetting request form to automatically save your unfinished work as a draft that you can return to later. Whenever you’re ready for a section to be considered complete, click Save > as ‘done and exit’ with the Save control as pictured above. Once you submit your finalized typesetting request our team will take care of the rest of the work, creating beautiful PDF articles in the style you’ve selected along with beautiful HTML articles and then working with the author to review the final proofs and make any necessary updates. Rember, if you use Scholastica for peer review you can also save time by importing peer-reviewed articles with an Accept decision into a Typesetting Request. Just click the “Import it here” link and a window will open showing a list of articles your journal accepted via Scholastica. Search for and click on the article to import it. When it comes to submitting a typesetting request, we also have some exciting news for journals that work with LaTex files. Now, in addition to .docx files, journals have the option to upload LaTeX files for typesetting. So you can get articles to production even faster in the formats you use. 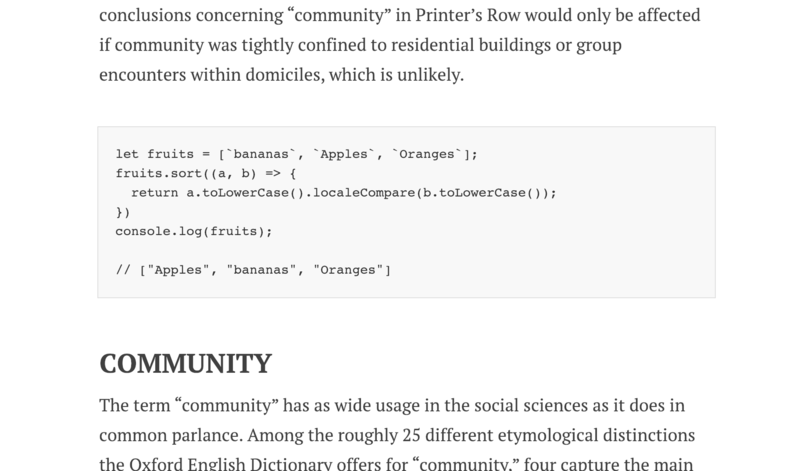 We’ve also built out our typesetting service offerings to support all citation styles. So whether your journal uses Chicago, AMA, APA, MLA, or another reference style we have you covered. 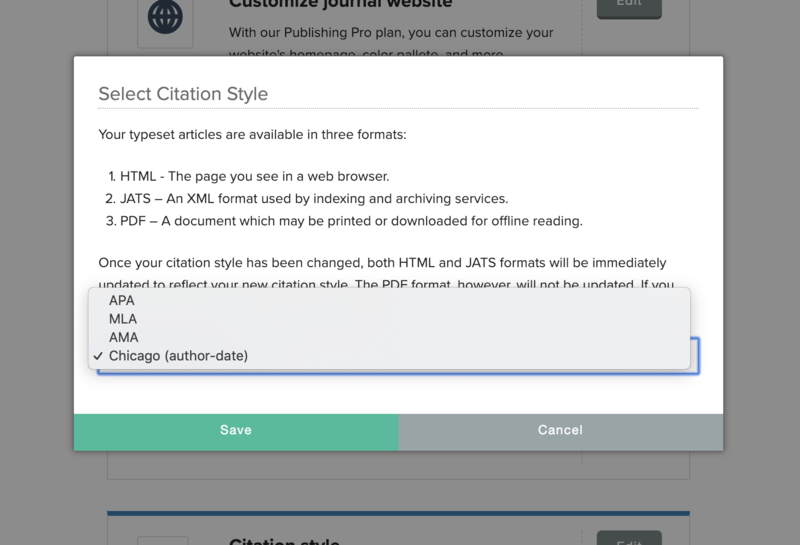 You can easily select your journal’s preferred citation style from the “Publishing Settings” page. Articles typeset by Scholastica also include Google Scholar links for cited articles in the references section, as shown above, making it easier for readers to explore references and also improving article SEO. Finally, we’re taking the legwork out of formatting code snippets in HTML articles. Now journals that receive articles that include computer code can send along those code blocks in their raw form and we’ll style them to display as clean code snippets in HTML and PDF articles. We hope you find these new features useful! As always, if you have any questions don’t hesitate to contact us!